Two individuals are counting their blessings after they were rescued from waters near Potters' Cay on Thursday afternoon by Royal Bahamas Defence Force Military Divers and Marines attached to the Defence Force's Harbour Patrol Unit. Shortly after 4:00 pm Thursday, two Bahamian occupants – an adult male and a young child were riding a Jet Ski on the eastern side of Potters' Cay Dock when they lost control, causing the Jet Ski to overturn. Marines in the area immediately jumped into the water and pulled both individuals to safety. 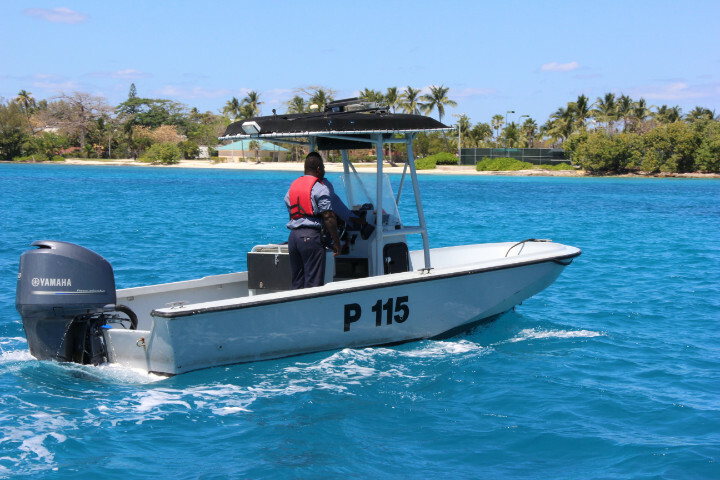 Prior to rescuing the individuals, the Harbour Patrol Unit received information that a male had jumped into waters at the western end of Potters' Cay, and did not resurface. Patrol craft P-115 coxswained by Leading Seaman Anthony Rigby went to the area to investigate. The Military Dive Team was also dispatched to assist with search efforts. Shortly after 6:40 pm, the body of a male was spotted at the eastern end of Potters' Cay Dock by the RBDF Military divers, who retrieved the body. Patrol craft P-115 took the body to the Harbour Patrol facility where it was turned over to officials from the Coroner's Unit for further investigation. Senior Lieutenant Andrew Bowe, Commanding Officer of the Harbour Patrol Unit, admonishes Jet Ski and recreational craft operators to adhere to boat safety laws by wearing life vests and to travel at a safe speed when operating recreational craft. The Royal Bahamas Defence Force remains committed to protecting the territorial integrity of The Bahamas.